Pale yellow in color and frizzante in style. 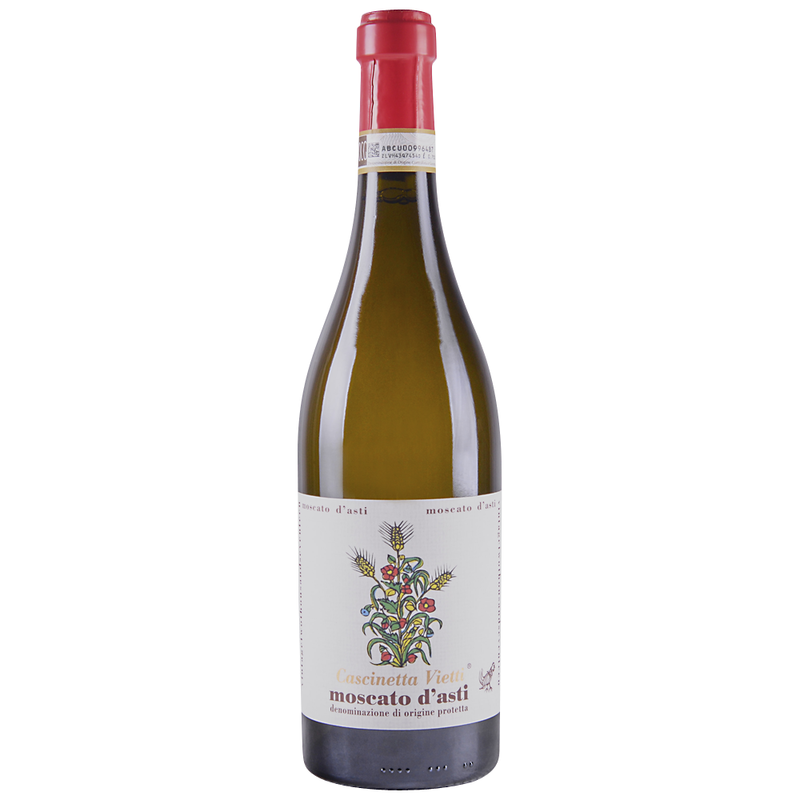 This Moscato d’Asti has intense aromas of peaches, rose petals and ginger. On the palate it is delicately sweet and sparkling with modest acidity, good balance, nice complexity and a finish of fresh apricots. Patriarch Mario Vietti, starting from 1919 made the first Vietti wines, selling most of the production in Italy. His most significant achievement was to transform the family farm, engaged in many fields, into a grape-growing and wine-producing business. Bright straw-green with golden tinges. Varietally accurate aromas and flavors of Moscato Bianco (orange blossom, vanilla and sweet spices, grapefruit) are very fresh and clean. Finishes very long and lovely, with noteworthy energy and focus. One of the best Moscato d’Asti of the vintage.